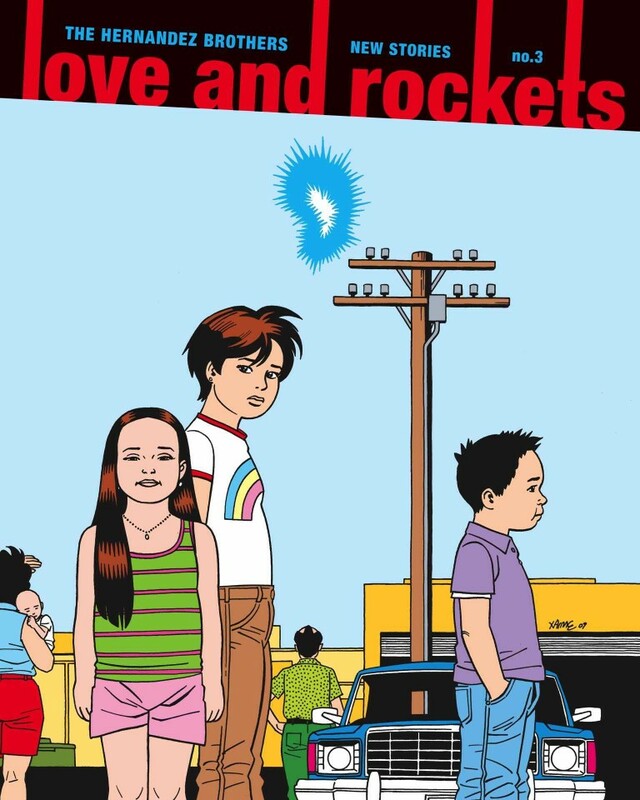 This is Love and Rockets: New Stories #3, part of the Love and Rockets library. 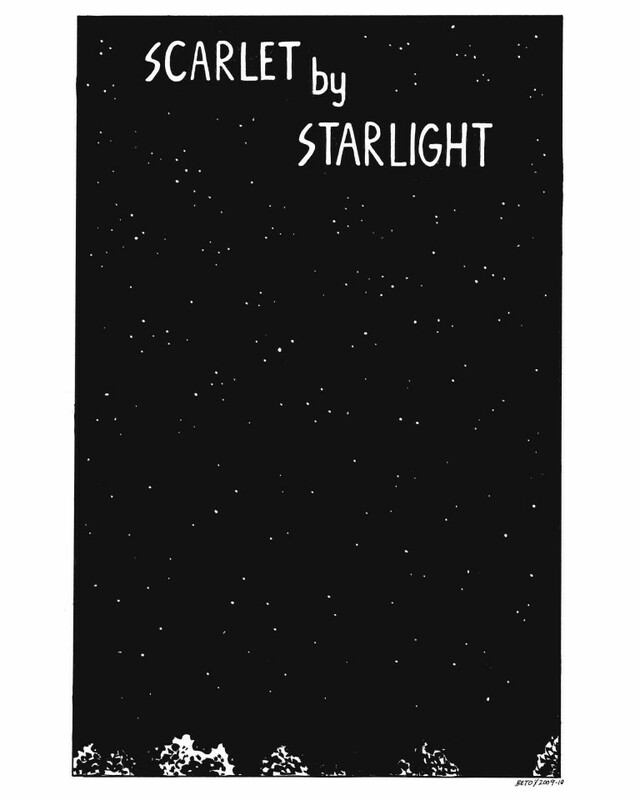 And on the Gilbert side of the ledger, “Scarlet by Starlight” is a story of humans exploring alien terrain, one of whom gets caught up in the natives' mating season with a furry creature who bears a striking resemblance to Fritz (of High Soft Lisp fame). “Killer/Sad Girl/Star” picks up the “Sad Girl” character from LRNS #2, and how no one in her family takes her budding film career seriously. All this, plus: a letters page! 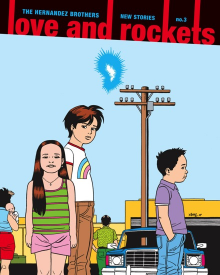 "In the 30 years they’ve been writing and drawing Love and Rockets, Los Bros Hernandez have created wonderfully complex story lines and characters... This web of superior magical-realistic storytelling involves readers in the perplexed yearnings of a huge cast of unforgettable characters unaware of their own capacity for general self-delusion and occasional self-discovery." “There are acclaimed filmmakers and novelists who can't do what Jaime Hernandez does — or Gilbert, for that matter. When the two of them are at their most inspired, as they are here, they make almost every other comics creator today look like a fumbling hack. [Grade] A."